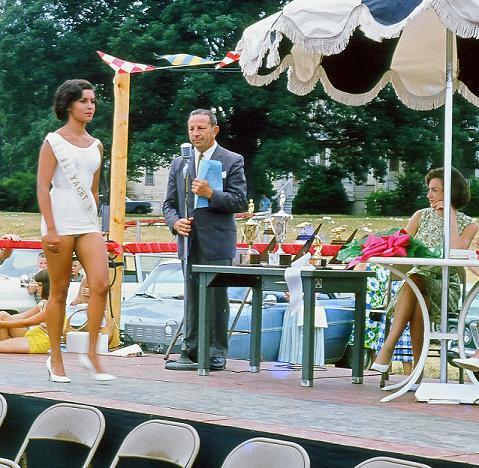 Similar to the Miss Colonial Beach pageant is the Miss Potomac beauty contest. That's what it was called back in the day. Here's a little trip down memory lane with the winner of the title nearly five decades ago. The year was 1964. Patsie Butler was a student at James Monroe High School. Some friends including Jan, a friend who's parents owned a cottage in Colonial Beach, helped her register for the annual beauty contest for the Potomac River Festival. During a visit to the beach with her friends, Patsie was interviewed by the event organizers and entered into the competition. 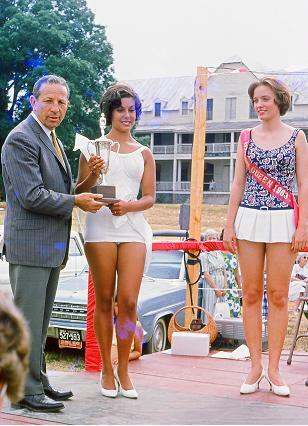 Sponsored by the Colonial Yacht Club, the manager accompanied Patsie to Carly's on William Street in Fredericksburg to purchase the bathing suit for the pageant. Patsie was crowned Miss Potomac that year, and in addition to the title, she also received 1,000 S&H Green Stamps and a trophy (pictured above and below). The runner-up was Chali "Cookie" Pierce from Urbanna, Virginia. She can be seen in the photo, with the red sash on. Cookie was the 1963 Oyster Festival Queen in Norfolk. 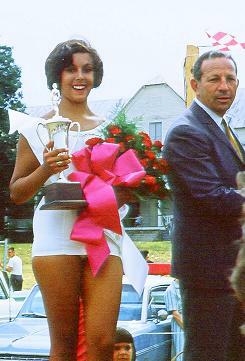 Patsie returned to the 1965 contest a year later to crown that year's pageant winner. Note the grand Colonial Beach Hotel in the background of some of the pictures. The building was a landmark in town, standing on what is now Town Hill for a century.